If you're one of those with a green thumb and just love gardening, why not have your very own greenhouse in your backyard? 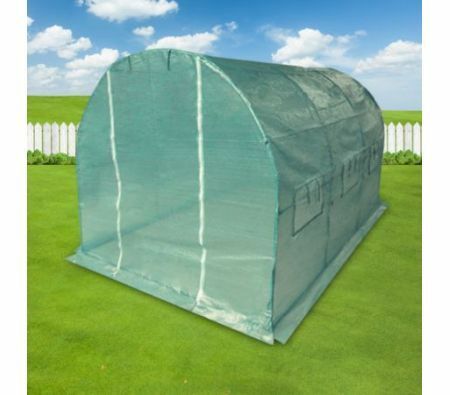 This arched roof greenhouse is incredibly easy to set up and has an entrance flap so you can get easy access to your greenhouse or adjust the level of humidity within to provide the optimal environment for your plants! Plastic connectors hold up the sturdy frame and its waterproof cover is made from tough PE mesh. Window flaps on either side of the greenhouse allows for sunlight and breeze to travel through while offering a pleasant view as you watch your plants grow. Suitable for growing all sorts of plants all year round, this large green house protects them from birds and other damaging pests. (L x W x H) 27cm x 21cm x 101cm approx.